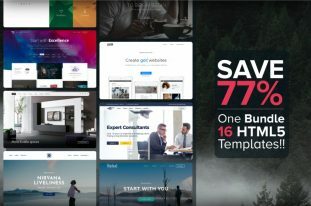 Today, ThemeWagon has over 150 web templates that are free. How many of them have cutting-edge, modern design? Honestly, most of them have error-prone codes, old-fashioned design. 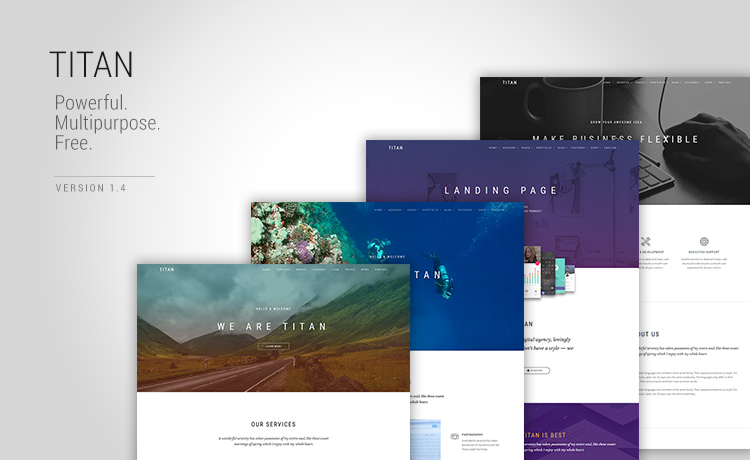 After analyzing the web design trend of past five years, we have crafted Titan; with better UX, rigorous testing and embedded documentation for you to make trendy websites effortlessly. 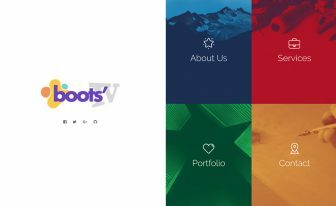 Get this awesome HTML5 Bootstrap multipurpose template to develop your site no matter what’s the niche. 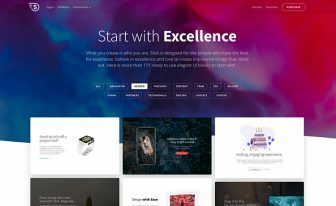 Both the design and functionality helps Titan to stand out form all other Bootstrap templates with a great aspect. sick. Very beautiful, easy to customize, no wierd spaghetti outside links breaking the code. Thank you for this great learning opportunity. Stunning theme template - well done! Hi guys, very nice template! Just a question: Is there any fee for removing the link to ThemeWagon? If not I suggest you to introduce it: We will be really glad to pay a small fee for such a wonderful template! This is far one of the most amazing template but if it's build on Bootstrap 4 it will be better, by the way i did notice there's a minor bug on testimonial when you at the bottom between testimonial and the next section, it will cause flickering or misalignment. Unfortunately, we do not provide any project specific customization support. Is there a way to stop the pull down menu to “overrun” the height of the screen? I do have a lot of menu items and the lower ones are not visible. Thank you for downloading from Themewagon. This is a customization support and unfortunately we do not give support to any free products. Trying to figure where I can adjust the height of the black background on the navigation bar. My logo sits a little low so when you scroll down the page, the logo ends up straddling the lower part of the black bar. The logo is white for this page, so you can imagine what happens. I uploaded every files which I downloaded here to our server though, It does not work. I can see bunch of this errors:Failed to load resource: the server responded with a status of 500 (Internal Server Error). How can I fix this? May be there is hosting issue or server error. Please upload a simple html file and check whether it works or not. Sometimes the kind of errors you’re seeing can be file permissions. Ensure that all directories from your webroot down are 755 and files are 644. Be in your webroot (such as /home/adminname/public_html) through SSH. …then try to access your site in a browser. If that doesn’t work, your webserver may be down. …if not, you’ll have to get with your hosting company to troubleshoot further. I found a bug in Titan Restaurant, in the section RESERVE A TABLE i can´t see the calendar using Safari or Firefox (Chrome works perfectly). Thank you so much for your feedback. We will inform our development team about this issue. Ok, let me know when it is fixed. Video playback header does not work on mobile – any fix for this? Please check this https://github.com/pupunzi/jquery.mb.YTPlayer , hope you can solve this issue with it. ok – looks like the there has been an update to the script. Thanks for pointing me in the right direction – problem solved! I can’t see the video from youtube in the homepage background when i use my mobile phone..
Also, I have several test, when responsive mode is used (Mobile, or chrome Setting) the iframe where the video player is loadad in normal mode, is not renderer, probably the problem is on css. I believe that videos are disabled for mobile devices simply due to the amount of network speeds required to display a YouTube video without lag. If you really want to give your users a YouTube video on mobile, you could just eliminate the code that checks for mobile devices and disables the video player. I am trying to link a vimeo video using the background video index template, but it’s not working it says the video is not available, what am I doing wrong?? can someone help me out? Sorry, you can’t link the vimeo video with the background video index because it’s only done for YouTube videos. No worries, You can try this plugin to link your video https://github.com/pupunzi/jQuery.mb.vimeo_player . Let me know, if you have any other queries. Do you know how could it fix it?? Thank you for your question. Please check this link and i hope you will get your answer. In the portfolio, is it possible to load a filtered list of photos instead of showing all the photos in the portfolio? Happy to know your problem is solved. I appreciate it. Yes if you can add a filter plugin. I can’t find any information about the licensing. I understand it is free, but can I use it for commercial purposes and removing Titan’s name and attribution from the pages, and put my companies name? It seems I found something on your site, that suggests I can not remove the attribution and link to ThemeWagon, which is not good to appear on our startup company’s page, as a tech startup. So, unfortunately, it seems we can use it. Please let me know if there is a workaround for it. It is a lovely theme. Hi there, thank you for choosing Titan as your startup’s website building. It’s a wonderful choice, by the way. As you’re concerned about the licensing, here you can read it. It requires an attribution from your site on the footer and I believe it doesn’t make anything worse for your business. Still, if you don’t feel good then I suggest you make your site with Titan without giving any credit back. I wish you all the success and prosperity. Thanks for your generosity, Sadiq. If we end up using, we will try to find a way to give the credit back. even if it is not in our main page. No problem at all, Roha. I want to see you succeeded with your dream and passion. do you have wordpress theme based on this? Yes, you can but you have to do that yourself (Tip: find the magnific popup and change the style). Thank you. Thank you for a wonderful template. · Is this “Free Item License”? · Can I upgrade to “Premium License”? Thank you for contacting us. Titan is a totally free template and it has no premium version. If you want to buy a high-end template, please check our quality-checked section. 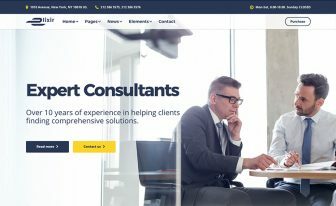 My profession is tax consultant and business consultant and I offer my services through site I chose this site for editing and use this in my business. My Question is, can I use these template for my creating business site or not and also knows that is this site heavy for browsing because we absolutely know that India faces internet browsing speed problems. and I do not want that my customer faces this problem to connected me with my site. Mr. Ahmad I need your help please send me message as soon as possible. Walaikum Salam Mr. Zaman. Yeah, you can use it for commercial purpose. Download it and customize with your contents. FYI, the template is speed-optimized so it won’t cause any problem due to the slow internet. Cheers! We update more often than our competitors in the market. I humbly suggest you study a little before you comment on something. Btw, we have dedicated writers and we never use spinners. Thank you anyway. Hi, I like your free template *Titan*, I would like to study this component, so please send me download link. Thank you. Hello. I do not have a Twitter account and cannot download by doing a tweet..How can I go about getting access to this download? I hope we can work something out; Thank you in advance! Okay Michelle, you can download the template even if you don’t have a Twitter account. Click the Tweet button and when the pop-up appears just close it. Your download will start automatically. If you fail to do that let me know. I will send you the download link then. i want to know how to change the time that the Testimonial slider takes. Im not able to locate the section about the slider time. In your assets/js/main.js file, search for testimonials-slider and adjust the settings according to flex slider documentation. Hope it resolves your problem. Did you have flickering issue when mouse hover between testimonial section with other section? For “index_mp_fullscreen_video_background.html”, I’m trying to get the video to pause when someone scrolls down the page. I’ve tried reading the documentation and changing the settings, but the best I can seem to manage is to get it to pause when someone leaves the page entirely. Any chance you have a fix for me? Never mind on this, I found the fix. The version of jquery.mb.YTPlayer.js included with Titan is out of date. I updated, changed the default setting for playOnlyIfVisible and got my desired result. A lot of online SEO analysis tools are showing critical error the lack of H1 tag for this template. I would like to solve but not making H1 hidden. Can you make a fix or a simple workaround for this? You can add H1 at any heading. No worries! You can upload your video to your Youtube account and make it not listed. if you know please give me a solution. Look for the Google Maps script source in the HTML file and put the key there. This is an awesome template but the images in parallax effects not being displayed on iPhone 6 but can be seen on android devices . I think some other person also had the same issue. Can you help what could be the problem ??? where can we find the updated template? Thank you for your amazing work! Hey i’m getting an issue with the Contact form. Php & HTML codes seems fine, but when im trying to send a message through the contact form, i get the js error “Error occurd! Please try again”. Hi Brian, maybe it’s because you haven’t installed PHP Mail. No issue on our side. Good day. I’m noticed there is a new version. I downloaded the zip file and I’m planning to update my website. But my question is: Where is the changelog for the latest version? Thank you. We didn’t update Titan yet so there’s no new version. If we do that you can see the changelog then. I appreciate your enthusiasm though. Have you noticed the title? 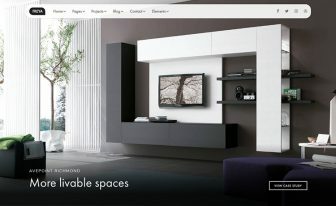 And, our total site offers only HTML templates. Then why are trying to get them as WP themes? Très beau template. Merci beaucoup pour le travail accompli. Est ce qu’il est possible d’activer le background-vidéo lors de la consultation sur tablette ou smartphone ? Very nice template. Thank you very much for the work done. Is it possible to activate the video background during the consultation on tablet or smartphone? For playing video, we use a plugin called ‘YTPlayer.’ If it supports on the tablet and smartphones then your video will play. Why don’t you check out the plugin yourself and read the documentation regarding the recent changes? And, update in the template, of course. When I opend the file http://www.aytarinsaat.com.tr/titan/index.html the video does not play. I only get the static image. Could you please help. It may be for your internet connection since the videos are from YouTube. Otherwise, they’re supposed to play. Beautiful template. I cannot get the main demo to work though. When I opend the file index_mp_fullscreen_video_background.html the video does not play. I only get the static image. Could you please help. Hello, It’s may be because you are viewing the page from file:/// protocol. Please upload the template in a server and the video background should work. 1) I’m using the index.html from the Titan Master directory. I have specified an image to be used as a parallax background, but it’s not being displayed on iPhones 6 or 7 using Chrome or Safari. I haven’t been able to test other iPhones. Chrome browser inspector shows it fine if I spoof those devices. Works fine on Chrome on my Android device. 2) I can’t figure out how to make the second row of bouncy link images (for Talk It Over and Eye on Conflict) have smaller buttons. I want only those two on their own row, but the same width as the three above. I placed a question yesterday and it was deleted. I’m not sure why. The video player does not work on iPhone 7 plus, iPhone 5 plus, and my iPad. I’ve tried 4 different app browsers. It plays via Windows computer. ” The theme is missing the style.css stylesheet”. Are you trying to install it as a WordPress theme? Very nice template. I’m using the restaurant template. The video does not play on my “iPhone 7plus”, “iPad 2” and “iPhone 5plus”. I’ve tried Chrome, Safari, Firefox, and Microsoft Bing with no luck. In crome up and down key not working, even my key board, laptop. The sample pages are not properly displayed on a tablet. The top of all the pages are wayyyy too big. Hi guys, thanks for sharing this great template. just a question, why doesn´t work the map? My contact form is not working.. Please help me. You should contact with a developer. hello developers, it is normal that the background video is not displayed in tablet and smartphone mode? Can it be activated? I already commented before how much I love this template. Recently I have been testing the contact forms, which I have both on my homepage and on a separate contact page. When I send a message from my homepage, I get a confirmation message that it has been sent. But when I use the form on the contact page, the message gets delivered, but there is no confirmation message that it has been sent. This can be quite confusing for visitors, since the data that was filled in disappears, but they won’t know if their message actually has been sent. Could you please have a look at this issue, if it’s on my side or maybe something in the code? Hi ,How is it possible to replace the video with my video.Where can i find the video file in the code. It only starts playing when the video or the pause button (it starts as a pause button) is clicked. Another qestion: can I use a video I upload from my computer instead of a Youtube link? The movie actually plays for a fraction of a second, but I can only hear the sound of this. Hey Paul, the background video is working on our preview well. Would you please tell me which browser are you using? I think it’s a browser issue. And, sorry, you can’t use a self-hosted video. Update YouTube link to your chosen one. It’s because you have the sound to come on automatically. Some browsers won’t allow website videos to autoplay music/sound so will disable the video altogether. Change mute:false, to mute:true, this should allow autoplay in most browsers. I love the Titan template, it is very clearly programmed. I only have a few questions; I came here in October and saw that the latest versie was v1.2, stated update October I believe. Now I came to check if there was a new update, and there is saying December 13, 2017… but still v1.2. Is this correct? And it would also be very nice to have a changelog on the updates… so that I can use the code out of the newer version in my version (which is still v1.0 I believe). Thanks for the great work and I hope you can come back to my questions. Hi Tom, thank you for your kind observation and warm appreciation. What you have noticed on the update date was not actually happened on the template. If we change anything regarding the post, say some text, you’ll see it’s updated. However, if we make any improvement on the template, it’ll be included in the changelog so that users can have the latest version. Again, I appreciate your love and care. Thank you for your reply, that makes it very clear! And you’re welcome, it’s more than deserved! I’ve sent you the download link via the email address you’ve added. It must help you. WOW, it really IS a TITAN!!!! thanks so much, I can see I’ll be spending LOTS of time learning and weaving. (also bought the bundle, can’t wait to unzip and ‘play’ with some of those templates.) Very much appreciated! THANKS! Not at all. You guys are our true inspiration. I really like the look of this template and I can tell it has a lot of things I am looking for for when I redesign my company’s site. When we launch the redesign we are not going to have a marketing video initially, but down the line I envision a video header – and in the meantime I want a fullscreen image header. I really want to use WordPress open source merely for content management, is there a way for me to adapt this html theme and use it for WordPress? Sorry Tracy, we can’t help you there. This is an HTML template and we have no plan to convert it to WordPress right now. If you can transform it into WordPress to use solely for your site, you’re welcome. And, that’s the only way. Hope you got it. Thank you , this template is great. This means a lot. You’re welcome. Will this be updated to Bootstrap v4 anytime soon? I’m looking to build a website under an MVC-L framework with this template. If there are plans to do that and have it done in the near future, I will wait. Hey Tyler, sorry to say that we don’t have any plan to convert it to Bootstrap4. Amazing theme thank you ! Unfortunately it does not work very well on iphone and ipad especially the header which seems out of control. Are you aware of this ? Thank you anyway ! We have tested on various devices including iPhone and iPads. Since you have mentioned we’ll check that again. It’s our pleasure you loved it and thank you as well for the awesome suggestion. All the thanks goes to you for your awesome work on this template and all the others. I tried with your official preview just to be sure that I did’nt mess up with anything but there are issue with the image and the size of the header in every home page. I tried it with an iphone 6S and an regular iPad. I can provide screenshot if there are needed. Thank you again for the suggestions and helping us with the issues. I really appreciate your effort. They’re gonna be fixed soon. Hey, I would appreciate if you could send us the screenshots so that we can fix the issue. Thank you. Sure I will provide some screenshot from iPhone and iPad. The same issue is on your template Reign. The problem seems to be the “cover” property because on iPhone 6/7 and on iPad there is some kind of extrem zoom on the image/slideshow. Here are some screen taken from your website with an iPhone 6S (on the left) and a Samsung Galaxy S5 (on the right) you can see the problem. The last screen is from the template Reign. I will try the fix you give me but that’s sad if we have to remove the parallax effect ! Can you send the download link to my email. Hey Diana, sorry to hear that you’ve faced problems with the download. Would you please tell me what happened after tweeting? I’ve sent the links anyway. Take care. hello, thanks for the free resource you make available. I find it fantastic, especially for those like me who are not web genes. I want to know if there is a tutorial, maybe for some features. Also I ask, I saw that the carriage section is inactive. Could I have support in this? I would like to run my site, with a special section for customer registration and allow it to buy. I see the predisposition but I can not turn on the function. if you look at my site you will see that I’m still working. Specifically I am a beginner and not very practical. Hello, we’re happy that you loved the template. Unfortunately, we don’t support for free templates. You can consult with a web developer. Your site looks great anyway. All the best. Is anyone available to help me? I’ve sent the link. Thank you. I have a question about the portfolio in the Titan theme. Is it possible to open a portfolio item as a Lightbox popup instead of opening a new page? I would like to just show my visitors a larger version of the image shown in the portfolio. I don’t need to give more information about the project. I really hope this is possible. Check the gallery. You will find lightbox there and can implement wherever you want. Thanks. Quick question: What is the best way to add another color scheme? There’s no default color scheme in this template. You have to change it manually from the CSS. Thanks for loving the work. How do I change the logo/icon in the browser tab? You should consult with a web developer for the issue because it’s not relevant to our template support. Anyone else run into the contact form not working if their email entered ($from) is gmail? Everything else, works fine, even nonsense like hgsvdgh@bbnj.com but whateveritmaybe@gmail.com no go but says it was sent. This is an awesome template. Thank you for offering it. Contact form sending random email with no message attached. How do we correct this or require message. It’s our pleasure that you loved the template. Would you please tell me in details what problem are you facing regarding contact form. Your message isn’t clear enough. I have one question, in that nav, there is a section of cart, but it’s not in HTML form and it’s like a comment. How can I get it ? I’m thinking about using this template for a commercial website. Can I remove footer credits? Have you a premium version without footer credits? Thanks for your interested in Titan. Sorry we don’t have a premium version without footer credits. You can use the existing one by keep the footer credit. Can I edit and publish this template? You can customize it and build your personal website or a site for your client. You can not edit it to resell or redistribute. Its great to have such a good work. My Question is if we can use this template by converting to our Epan Drag and drop based system. Since It is very easy to convert any Html template into Drag and drop based website template, we would love to use this template by giving proper credits and maintaining footer links to this page. For more about our Epan system please visit http://epan.in and it you guys are interested further please contact us on given email. We checked your Epan and it’s really great. Would you mind to give the credit link in the footer please? And we will think about your proposal. this template ist great. I’m excited. If i use the template for commercial projects, must i set a copyright like “(c) titan, themewagon” in the footer of the site, in the imprint or somewhere else? Yes, you need to give the credit link in the footer. I downloaded the theme, compressed it so I could upload to wordpress and got this. “The package could not be installed. The theme is missing the style.css stylesheet.” I found the scss folder within the download, under assets>scss>style.scss! How do I go about this now? Read the comments, figured it out. Thank you for choosing Titan. Unfortunately, this is a HTML template. So this problem is occurring when you are trying to upload it in WordPress. Amazing work.. I must say..
Is it really free…Can I use it to create any website for clients/commercial use. Yes you can make sites for you and your clients. You can’t redesign or resell this template though. It’s the world’s no 1 free website template. Your issue is forwarded to our technical team, hope they will solve it soon. We are glad that you like this template. Note that, first of all you have to link up css file in head of a html page. Then use the class name of icon, you want to use. That’s it. Absolutely love this template and works really well. Can anyone tell me though, how do I change the colour of hyperlinks. On white background the links are not obvious unless you hover over them. Many thanks. You can easily change the color of hyperlinks by using color property of CSS. Super – that works lovely, thank you. Fantastic template and an excellent use of bootstrap and jquery! Really awesome and unbelievable that it is free! No installation, no style.css stylesheet. Thanks for downloading Titan from ThemeWagon. You have chosen the best HTML template in the world surely. This is an HTML template, not the WordPress one. That’s why when you are trying to make a WordPress site considering Titan as WordPress theme, it’s giving you the error. We clearly mentioned that this is an HTML template. I hope you understand that and update your review. Yes, you are right; this is by the community and for the community. This community helps us grow this far and as a token of appreciation Titan is free for the community. We brag that this is the World’s #1 Free Website Template so far. Quick question: what would be the best way to detect the screen size? amazing templates <3 thanks you so much dude!! Super awesome template! Keep the good work going. We’re glad that you like it. Quick note: On some images, text doesn’t load up on Iphone and Ipad. For example: in the section “meet our team”, on Ipad/Iphone, when you click on the image for Jim Stone, on all the other platforms, the text loads up animated on top of the image, but not on Iphone and on Ipad. Thank you for choosing Titan and your constructive comment. Sure, we will fix the bug in the next update. Any idea when is the next update due, please?